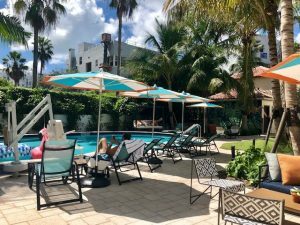 Today’s post is a two-for, featuring both a wonderful new hostel/boutique hotel and restaurant we were introduced to right in the heart of South Beach. 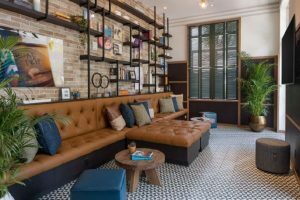 Founded in 2011, Generator, a London-based brand known for their trendy design-forward European Hostels that feel more like boutique hotels, has just opened its first US location in Miami Beach this past August on famed Collins Ave, just one block from the beach. 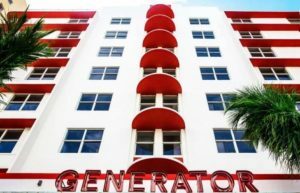 Generator, remodelled from a 1940’s condo building, offers 300 beds in 105 rooms. 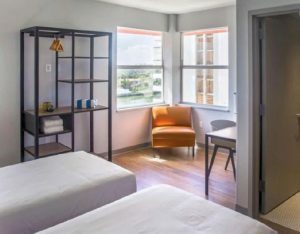 One of the unique things about this hostel is that in addition to the traditional shared rooms (which start at $20 per bed per night), is the addition of private rooms that start at just $95/night. Generator is not the hostel you might have stayed at while travelling around Europe (probably in your early twenties). They have pulled out all the stops to create a sense of community, incorporating such amenities as an inviting pool, 2 on-site restaurants, beautifully designed shared and private rooms and several really unique common spaces for guests to interact with one another or just take in the serene environment that’s been created for the solo traveler to enjoy on their own – not to mention the awesome location, right in the heart of South Beach. 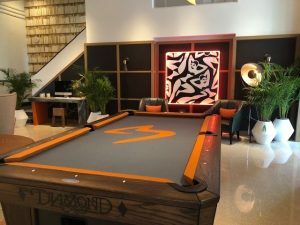 Several activities are being offered at Generator including yoga, mixology demonstrations, movies, a pool table, DJs and more planned. I was invited by Desirey, the Event Sales Manager and my lovely host for the afternoon who arranged a tour of the hostel/hotel and a lovely lunch for us at Driftway, one of the two restaurants found on the property. 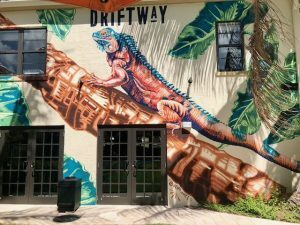 As we made our way past the pool heading towards Driftway, I couldn’t help but notice this amazing mural painted on the side of the building. It had been painted by South African artist Chris Aurett. The food & beverage operations are being overseen by Gui Jaroschy, whose impressive resume includes opening the Broken Shaker in Miami Beach as well as several other locations in Chicago, Los Angeles and New York; managing the Anderson in Miami’s Upper Eastside; and consulting on cocktail menus for Ricochet Lounge, Drunken Dragon and British Airways. 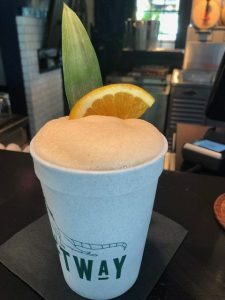 Alex, our Driftway guy let me sample all four of their frozen drinks; the Suze and Coke, OMFG Margarita, Bird of Paradise and the Friesling. 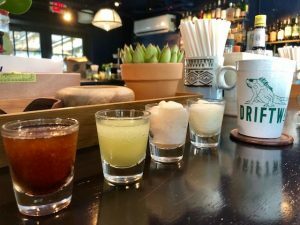 I enjoyed them all, but my favorite was the Bird of Paradise which was made with Beefeater Dry Gin, Chinola Passionfruit Liqueur, Martini Bitter and J Wray Rum, allspice and cubeb pepper. 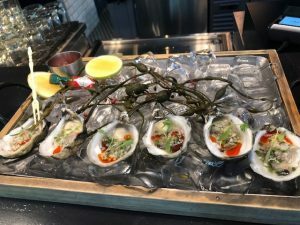 The West coast Kushi oysters were sweet!!! 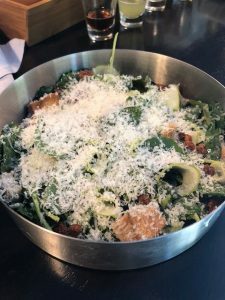 Kale Salad: with lemon dressing, sherry trumpet mushrooms and spiced pecans. 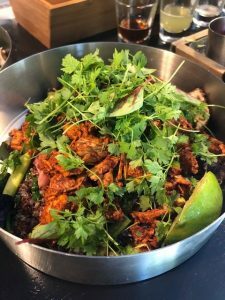 A beautiful medley of flavors and healthy to boot! Organic Quinoa Bowl: Market veggies, salsa verde, micro herb salad. Another creative, tasty, healthy and satisfying dish that won’t wreck havoc on your waist. 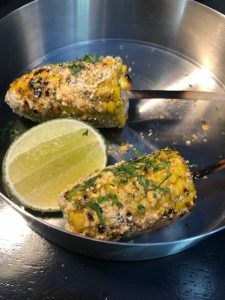 The food and frozen drinks were amazing, as was the ambience and the company. 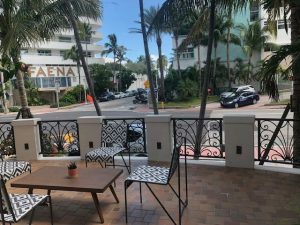 I am looking forward to planning my next Staycation right there at my new favorite place on South Beach. 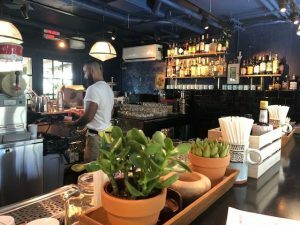 If you are planning a trip to Miami Beach and are looking for things to do in the area, you might want to consider booking a Savor Our City tour. Private tours are offered for a minimum of 2 guests and groups of up to 50 people. Choose from South Beach, Wynwood, Little Havana, Miami Springs, Doral and Brickell. 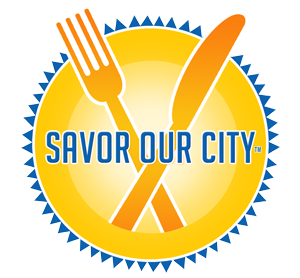 For more info on tours, contact Savor Our City.